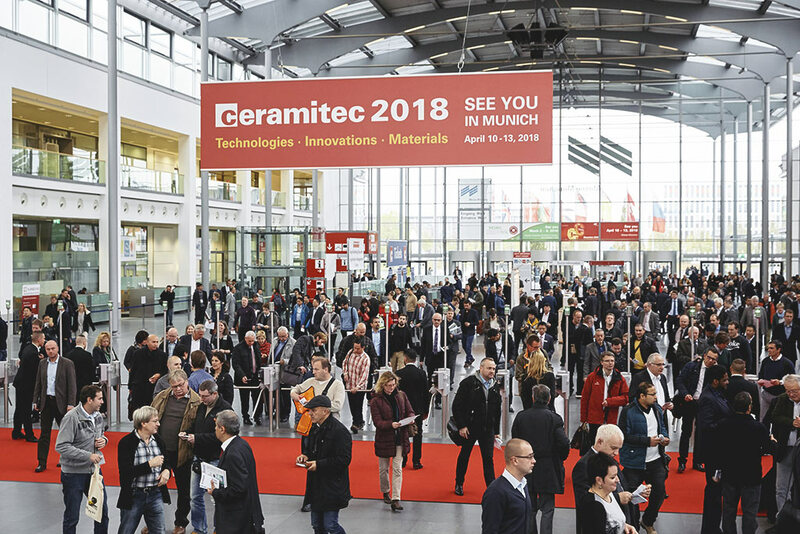 Between April 10 and 13, 2018 the leading international trade fair for the ceramics industry—ceramitec—and the leading event for laboratory technology, analysis and the biotechnology sector—analytica—are being held in parallel, at the Messe München exhibition center. Companies exhibiting at these two events can look forward to excellent synergy effects from this parallel constellation. With this new set-up, visitors to analytica will now also be able to go along and talk to the exhibitors at ceramitec, all in one visit. In turn that enables exhibitors at ceramitec to reach new target groups of visitors and expand their business networks. Synergies are expected in particular in the areas of raw materials and measuring and testing technology. analytica is the world’s leading marketplace for products and services along the entire value chain in modern laboratory processes. For almost five decades this event has been a regular meeting place for key players and decision-makers in the sector. The accompanying analytica conference forms the scientific core of the trade fair as a place for engaging with leading researchers and scientists from all over the world. ceramitec is seen as the world’s foremost gathering place for the ceramics industry. Almost all market leaders and many decision-makers are represented here. Around 600 exhibitors from all over the world make use of ceramitec as a showcase for presenting their latest machinery, equipment, systems and processes from right across the sector—from classic ceramics to industrial ceramics, technical ceramics and powder metallurgy.